The CD4011BC quad gates are monolithic complementary MOS (CMOS) integrated circuits constructed with N- and P-channel enhancement mode transistors. They have equal source and sink current capabilities and conform to standard B series output drive. The devices also have buffered outputs which improve transfer characteristics by providing very high gain. Low power TTL: Fan out of 2 driving 74L compatibility: or 1 driving 74LS. Maximum input leakage 1 A at 15V over full temperature range. It is used in Computer, Electronic circuits, Calculator etc. 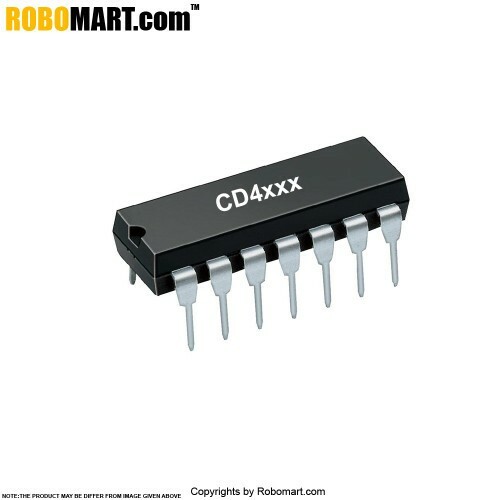 Also Searched as : CD 4011 Nand gate, 2 input NAND gate..